Luxury wooden cabins in the stunning North Devon countryside. 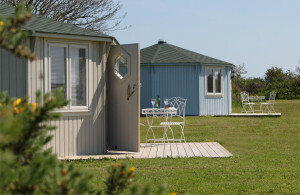 Coastal Cabins is the perfect setting for a relaxing break away from all the stresses of life. This is Glamping at its finest. 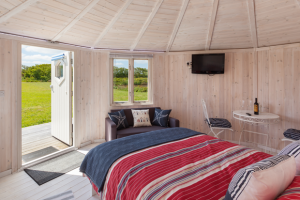 With proper kingsize beds for the grown ups, bunk beds for the kids, kitchenettes, en-suite shower rooms and individual decking areas, you can experience a weekend with nature without giving up life’s luxuries. Set in a magical location above the rugged North Devon coast this is the perfect spot for a magical holiday. At Coastal Cabins there are 10 cabins. 5 Family Cabins sleeping up to 4 people in each and 5 Couples Cabins sleeping up to 2 people in each.